When we beat ourselves up for having bent our petal, or for our edges not being as smooth as the petal next to us, we are devaluing the beauty and perfection that lies beyond ourselves. I don’t think God cares so much about the marks on us nearly as much as we do- because he sees the whole rose, and knows if the petals were all perfect, the rose would not be so beautiful, not so perfect as a finished masterpiece. It’s the differences and so-called flaws that create the beauty. I agree with most of this, but I want to take the analogy a step further. 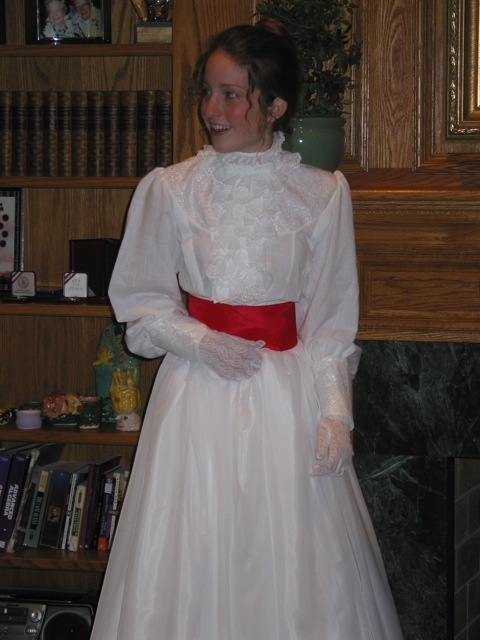 Before I do, however, I want to tell you a little about how I picked a florist for my wedding. There were three florists that people we knew swore by--and I swear they all used that phrase. People are surprisingly opinionated about such things. I mean, I knew I was, but I also like reading the plaques at arboretums, talk to plants, and literally hug trees, so I'm not exactly a good example of normal. Anyway--three florists. One was in the Valley, close to hollywood, if not in it. I liked their style for the most part, but not their people or their prices. They kept name-dropping this one show for which they were doing flowers. They were super busy, weren't planning a demo until we pestered them the morning we were coming (and we weren't asking for something free), and it took them forever to get back to us. Easy no. The next one was in a local shopping center, tops ten minutes away by car. Their flowers weren't very fresh, and they put together the demo as we spoke with them. Prices were reasonable, and local is nice, so we kept them in the running. But then we went to Marisol's. It was a hike in the back hills--not too far, but the roads were old and windy. She had a beautiful demo waiting for us, a refrigerator displaying work for a relative's wedding the following day, and was pleasant and helpful. The shop was tiny and wonderful, she took copious notes, and used her computer to find examples for us. The thing that struck me the most, however, was her constant primping and adjusting: if a rose had a bent pedal on the outside, she would gently tear it off so the flowers would look their best. Alright, now back to the analogy. I think variation is beautiful--odd ridges and ruffles on flower pedals contribute to a flower's overall beauty. I also think it's important to distinguish between faults and variation. To me, having wide set eyes, a funny laugh, or a foreign approach to problems is part of individual variation that makes humanity beautiful. People should love and accept their variations. Faults, however, are things that people can and should work to improve. I would categorize selfishness, sloth, and close-mindedness as faults. Part of the trickiness of faults is that they are very subjective; say I had asked a friend out to lunch, but lost my job after setting everything up. Would it be selfish of them to expect me to pay? How about if they didn't know about my joblessness? How about if they did? What if they were my ex-boss? What if they were an ex-significant other who had just received a bonus at the same workplace? People have different opinions on these things because it's a fuzzy business. Remember the original analogy was person:rose petal::community:rose. My proposed analogy is person:rose::community:rosebush. As individuals, we can tenderly remove the broken and bent petals as long as it doesn't ruin the flower. That is to say, people should work on their faults (as defined by themselves, not by others), but they shouldn't be too hard on themselves--everything from the above quote still applies. It's okay to make yourself better, but don't lose yourself, and only make changes as you're ready for them. In other words, don't get rid of the pretty half-sepal half-petal that's all warbly, just the browning or broken bits that will come off easily. Or maybe I should just leave analogies be. 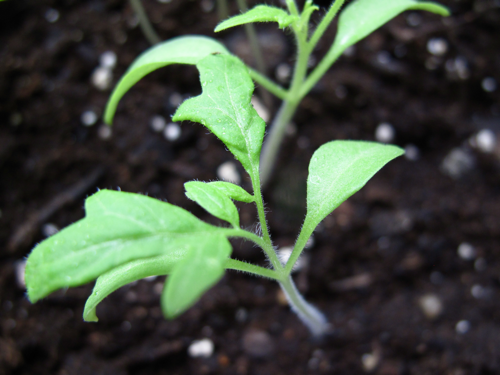 Have you ever noticed how tomato plants have a particular smell? It's mellow as anything until it hits you like a whip and then fades into the earth. 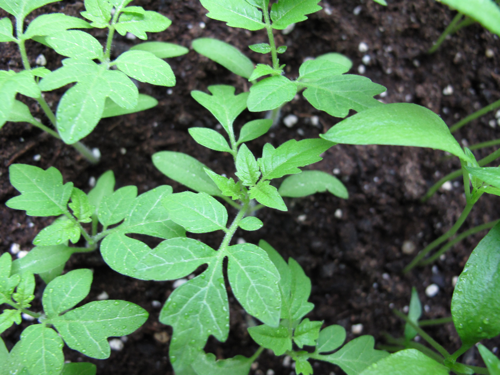 As I've mentioned before, I've caught a few tomato plants growing wild in odd places, and the smell is always the last and final test to see if they are what they pretend to be--it's the only way to be sure. 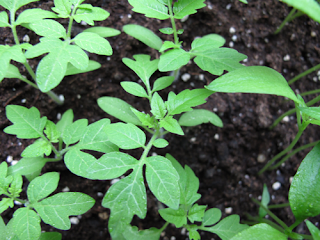 Now that I have seven varieties of tomato finding their places in the world with the help of my windowsill and not nearly enough help from the sun, I must admit that sometimes I just like to smell them. They remind me of home a little, and of my mom growing tomatoes. I used to go out into the garden and pick tiny cherry tomatoes right off the vine, painted with the grey minerals of dried water. Sometimes I'd wipe them off on my clothes or take them inside, but sometimes I would just kiss them clean and eat them warm. I've never had better tomatoes. I was also reminiscing about plums recently; my grandma used to grow plumbs and still grows apricots and pomegranates. Not even thinking about the season, I tried to buy plums recently, which was a huge mistake. They were a totally different kind of fruit, sour and clear, and N got a ranting earful about how I've been spoiled for life and I can't buy any of those fruits in a grocery store. When I pick fruit (in the botanical sense), I always like to wait until the plants gives it up willingly--no pulling, prying, twisting, or cutting. Just a simple pluck. They're best like that, and grocery store fruit is rarely, if ever, picked so--farmers' markets maybe, but not stores, lest they spoil in transit. As a kid, I used to sit in the treehouse that my grandpa built in the bigger of the two apricot trees and test the fruit until I got the ones that were ready to go that day. You could bite them exactly in half as easy as opening a book. I'd do the same for the pomegranates, without the biting. Instead, I'd smuggle a butter knife out of grandma's kitchen and cut them until I could crack them open by hand--they were softball sized fruit, bigger than anything I've even seen at a stand or farmers' market. They'd bleed all over the treehouse or on the concrete (which I'm sure grandma didn't like) and I'd pick out the seeds to my heart's content, peeling away the translucent pith in as big of sheets as I could. The plumb tree died when I was still fairly young, but I remember getting out a ladder and making my brother hold it so I could get the very best ones on top. We ran barefoot and wild...well, I suppose I still do. The photos are of the tomato seedlings I started just three weeks ago. Top to bottom: Yellow Pear, Brandywine, and Amish Paste. I rolled up my sleeves today and took a jump: I made Paella. Since N has a deep abiding love for Spanish food, I figured it would be a fun experiment, especially since I had recently been gifted some of the key ingredients. 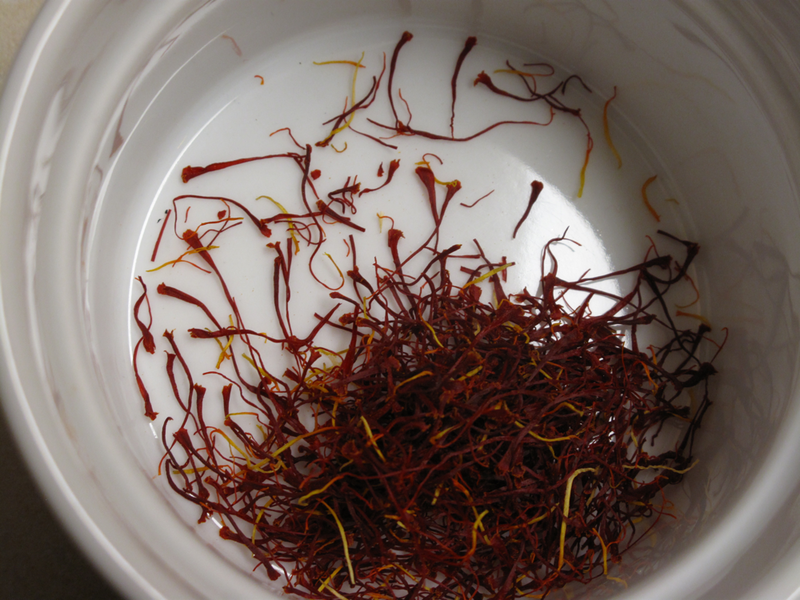 Saffron is essential for the right color and, more importantly, the right flavor. I had never really worked with real saffron before (played with a crushed mixture, but that was far too yellow to be pure, so it was likely highly supplemented with tarragon), and I was pleasantly surprised by its almost earthy pungency. The other real new thing for me was muscles. I'm not much of a seafood person by nature, but I've been expanding my palette slowly and have recently decided to learn how to cook fish in order to expedite the process. Up until tonight, I'd made baked salmon twice, but that was the extent of my fish-cooking experience. Shellfish were an entirely new game. 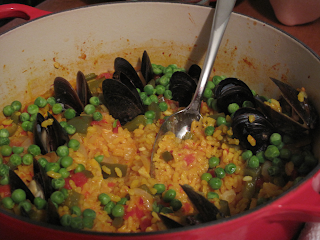 I stalked the fish counter at Wegmans for a good while before settling on muscles for the paella. I had at least eaten muscles before. Maybe. I tried a few once in college, I think. Anyway, muscles were on the cheaper end of the spectrum. When I started the paella, the recipe I was following called for cleaned and de-bearded muscles. The cleaning part was self explanatory, but beards? So I learned all about muscles's byssal threads and how to remove them. (Tug toward the hinge with a dry towel.) In the process, I found a description of how to select muscles and which ones to throw away; that article made me a little paranoid and I think I ended up tossing many more muscles than needed. Muscles aside, the Paella was pretty straightforward. I based it off of a Cook's Illustrated recipe with a few simplifications. Having never tasted true Spanish paella, it turned out fairly well, and N was pleasantly surprised. The biggest improvements it needed were to be made in a shallower pan and to have a better soccarat (crusted rice at the bottom), but those have more to do with authenticity than deliciousness. I found myself having seconds straight from the pot. Sautee garlic, onion and peppers in olive oil in a dutch oven until aromatic and beginning to soften. Add tomatoes and cook for a few minutes until some of the juice cooks off. Stir in the rice so it is coated with sauce, then add the salt, pepper, saffron, and water and bring to a boil. Cover the pot and turn the heat down to a simmer. When the rice has absorbed most of the liquid, add the peas and the muscles hinge-down into the rice, which should be able to keep them upright. Cover again and continue to simmer/steam until the muscles open and the liquid is nearly all absorbed. Turn off the heat and let set for a few minutes before serving. I saw a couple today. They were running down the sidewalk in normal street clothes, but it was apparent that they were exercising, if only because they were wearing running shoes, they didn't look like they were stressed, and there wasn't anywhere to go in the direction they were headed. It got me thinking about two things: how we use clothes to explain our actions to others and how uncommon it is to exercise in our daily lives. I know there are advantages to specially-made athletic clothing: it can breathe better, wick sweat, allow freedom of motion, and provide needed support. However, I think that often times people buy it simply for the look and feel, both of which are valid reasons. If you feel the part, you're more self-confident and likely to push yourself harder. If you look the part, people aren't going to think you're in trouble, late, or just crazy--it's a social signal. When I fenced, and especially when I taught fencing one summer, I felt the need to buy loose-fitting athletic pants. They were perfect for fencing (and all sorts of other activities--I still have and love those pants), but I'd be lying if I said that those pants didn't help me feel comfortable carrying equipment through a mall full of people every week or keep control of a class of armed eight-year olds. It also struck me that manual labor and fitness are now often relegated to hobbies instead of integrated with everyday life. People aren't churning butter, grinding wheat, or whisking eggs by hand. People aren't building barns, clearing fields, or cutting stones. (Okay some people do these things, but if they're in the States, they're probably either professionals assisted by technology or Amish.) It's funny that someone will use an electric beater and then lift weights to strengthen those same muscles the next hour. I think it'd be really interesting to design a workout system that consists entirely of activities in which the primary goal was not fitness-related but some other productive task. The events related to the Libyan uprising and the earthquake off the coast of Japan: I feel as though I can't just let two major catastrophes pass by without acknowledgement, even though I have little, if anything, to add. First off, the cruelty of men, the occasionally manifested power of nature, and the repercussions of technology gone awry are all astounding. No matter how far we advance as a global society, we never seem to escape these things. And yet an individual can live without any knowledge of events similar to these by simply turning off the news and living in an area sufficiently isolated and protected. I'll admit that I didn't read the news at all the day of the earthquake--sometimes I just feel the urge to disconnect. N came home and said, "Please tell me you read the news today." But even when I am thorough in reading my favored sources, there is so much information that even these great tragedies seem so remote. Suffering is universal and far too frequent. I feel helpless. A thought will pass through my mind: why bother to stay informed if I will never know everything and there isn't much I can do about what I do know? The sorrow everything brings is terrible. But humanity is worth it; I have to remain connected to family, friends, and strangers alike. I have to have knowledge and be a part of this world, an active and aware participant. It can inflict all kinds of emotions and personal change, but our inseverable connections to each other are part of what makes us human. So though I spend my time doing tasks that are so simple they seem silly sometimes, my heart goes out to those suffering everywhere, form Japan and Libya to places that I can't pronounce and know nothing about. However, this heart isn't big enough to cover everyone. Nor is my bank account. And my hands aren't strong enough to do all the needed work, even if they were in the right places. So I can only care and hope and do the best I can with what I have, trusting that we'll manage to take care of each other somehow. I suppose it's a big leap of faith, but it's the only way I can keep moving. 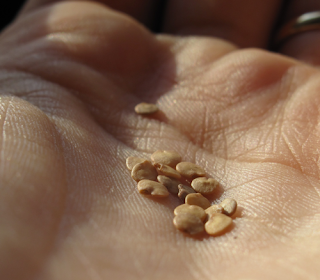 In all that talk of my heirloom garden, I forgot to mention that I got a packet of marigold seeds for free with my order. Not knowing what else to do with them, I saw that they needed indoor starting, and with a shrug of the shoulders, I tossed them in along the edge of my starting box in the shadiest spot, not sewing them particularly well at all. 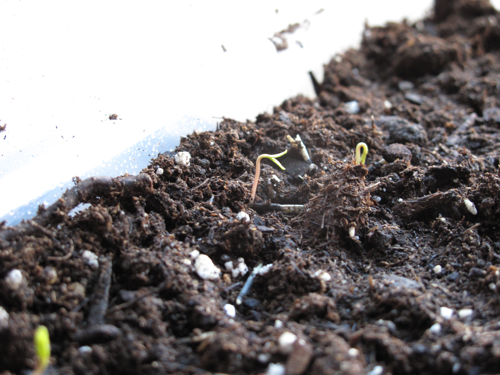 So when today, I spied tiny little pairs of leaves, I was a little surprised to realized that despite my neglectful apathy, the marigolds had won the sprouting race. 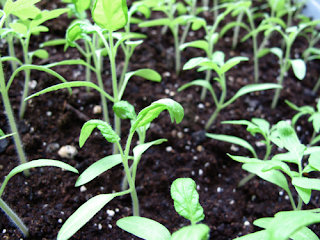 (Though perhaps it was even because of my neglect, since they were closer to the surface and on a warm edge.) Welcome to the world, little ones! Am I being a little obsessive about all of this? Yes. Yes, I am. And I'm loving it. I win yet another award for being a klutz. This week's addition: I was walking from the car to the apartment, three groceries bags slung over my shoulders (the sturdy bring-your own kind), a plastic home-depot bag in the crook of my arm and one jug of milk in each hand. (Yes, N and I go through about two gallons a week.) I knelt down to readjust one of the bags to share a hand with the milk, and when I got up, the milk flew out of my hand and broke on the ground, a nice three inch gash in the middle of the side. Not knowing what else to do, I picked it up and tried to keep walking, carrying it as far from my person as possible at an odd angle to minimize spill. It bled profusely along the way, and I kept thinking of a high-school story of some kid who got a gash down to an artery and bled all over the school. By the time I got to the door of the building, it had lost enough fluid that I could carry it in the palm of my hand, crack up, without spilling too much. You try that sometime. After getting everything into the apartment, I did a quick spot clean of the building's public area and the path from our door to the kitchen, where the milk jug lay on its side in agony. I dispersed the milk to various containers (a pitcher, a partially empty milk container, and a water bottle), and dealt with the milky mess all over my kitchen. Oiya, what a morning.